Every once and a while there will be an album that pretty much levels the musical plane, one that becomes an earworm in the most serious of ways, rendering everything else kind of secondary. 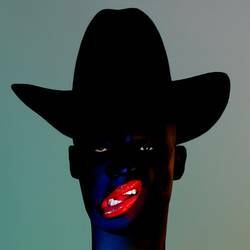 For me, right now, that is Cocoa Sugar by Young Fathers. It’s hard to classify exactly what genre the Edinburgh, Scotland-based group are, because they encompass so many different ones at once. It’s a little hip-hop, it’s a little indie rock, and then there’s some weird touches of R&B. They won the Mercury Prize in 2014 for their debut album Dead and were featured prominently on last year’s Trainspotting 2 soundtrack. Cocoa Sugar is a densely layered collection melding Gospel choirs, skitter-stop raps and Radiohead-inspired sound beds. Posted May 28, 2018, 11:13 p.m.